Babies learn through imitation; it gives them the opportunity to practice and master new skills. They observe others doing things and then copy their actions in an attempt to do them themselves. For example, it’s how your baby knows, without you having to give him specific instructions, how to hold a toy phone up to his ear! He has learned from watching you talk on the phone! Imitation can also be considered as a basis for the development of empathy, or having the ability to experience what someone else is feeling. In fact, an infant’s ability to imitate simple actions, like sticking out his tongue, originates from the same part of the brain that allows us to develop empathy. 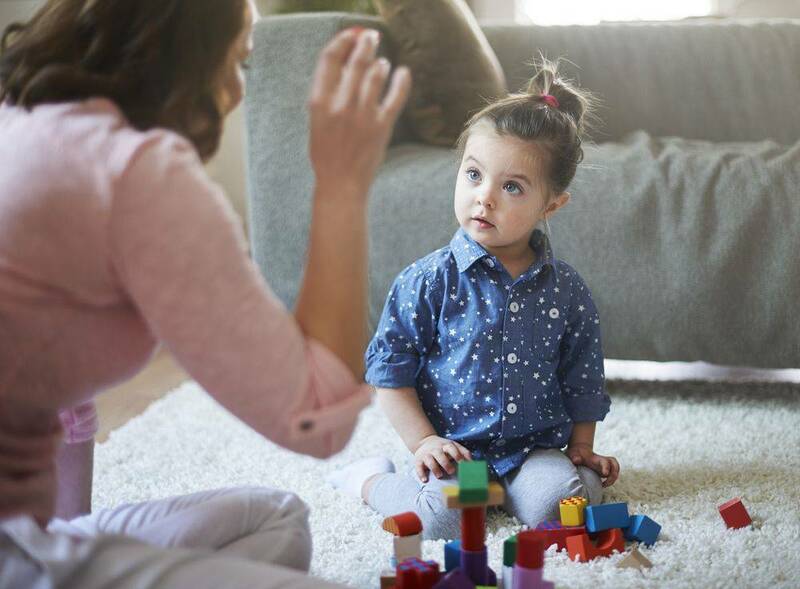 Recent studies have found that imitation is not only one behavioral skill, but it’s more like different ways of combining and using diverse types of knowledge, developing across the first 2 years of life (Jones, 2007). Albert Bandura’s social learning theory states that behavior is learned from the environment through the process of observational learning. It explains human behavior in terms of the interaction between cognitive, behavioral, and environmental influences. “Most of the behaviors that people display are learned, either deliberately or inadvertently, through the influence of example” (Bandura, 1977). Bandura described humans as “active information processors”, who are constantly thinking about their behavior and its consequences. Although imitation is something that comes naturally for your little one, here are some things you can do with him or things you can simply look out for! Babies are born with an innate ability to copy basic facial expressions. Remember that every interaction is a learning opportunity for your child. Make slow, repeated movements so that your little one can process the new information; this will increase the likelihood of imitation. Make sounds with your mouth and repeat them the ones your child makes! Music is also a great way for your baby to imitate actions. Sing a song, clap your hands, play a drum, or dance around! Toddlers constantly learn by doing, not just watching, so let your little one watch you complete a simple task, like putting on a shoe, and then let him try it! This is a great time to encourage your child to participate in household tasks, because he’ll love helping out and imitate what you do around the house! By age one, babies begin to remember and imitate actions they observed a month ago. You are your child’s first teacher. Remember to always model the behavior you want to see in him. If you want him to be patient, kind, and polite, you have to be that way too! Of course, no parent is perfect all the time. So if you do or say something that you wish your child had not seen or heard, be quick to repair the damages and talk about it with your little one. Watch this video of a Kinedu activity intended for babies that are 4–6 months old, and try it at home with your little one! Its purpose is to reinforce the imitation of gestures and foster a serve and return relationship. Babies learn through imitation; it gives them the opportunity to practice and master a new skill. They observe others doing things and then copy their actions in an attempt to do them themselves.